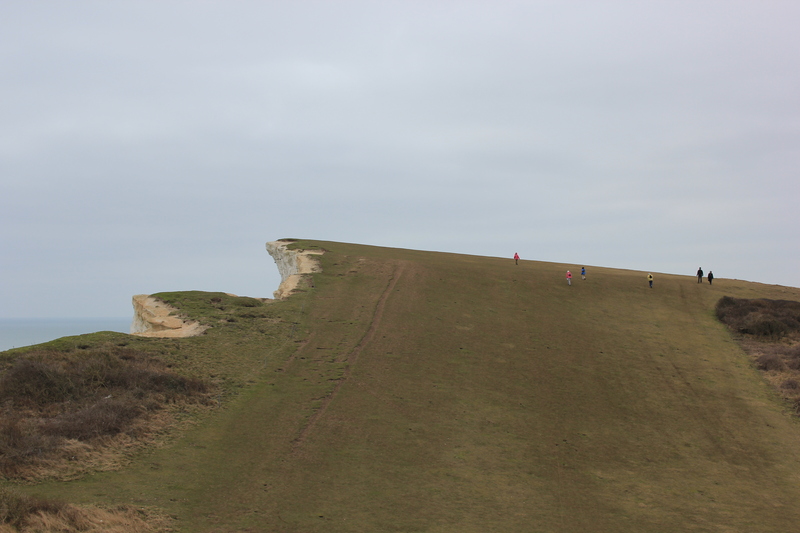 We left Beachy Head and started walking along the undulating cliffs, towards the Belle Tout Lighthouse and on to Birling Gap. We decided not to walk too close to the edge here. The overhanging outcrops of rock looked just a little too risky for our liking. On the approach to Belle Tout Lighthouse the views were absolutely stunning, even in overcast conditions. Belle Tout Lighthouse was the original lighthouse at Beachy Head. It was built in 1828 and stands 14 metres high. It was eventually closed in 1902 when the new modern lighthouse became operational. The problem was its position on the top of the cliffs. It was frequently shrouded in mist and could not be seen On top of that, there were recurrent cliff falls through erosion, threatening its very existence. Indeed, in 1999 the entire building had to be moved back from the cliff edge by some 50 foot. Had it stayed where it was, it would now be at the bottom of the cliffs rather than at the top. The old path up to it shows the extent of the encroaching erosion. 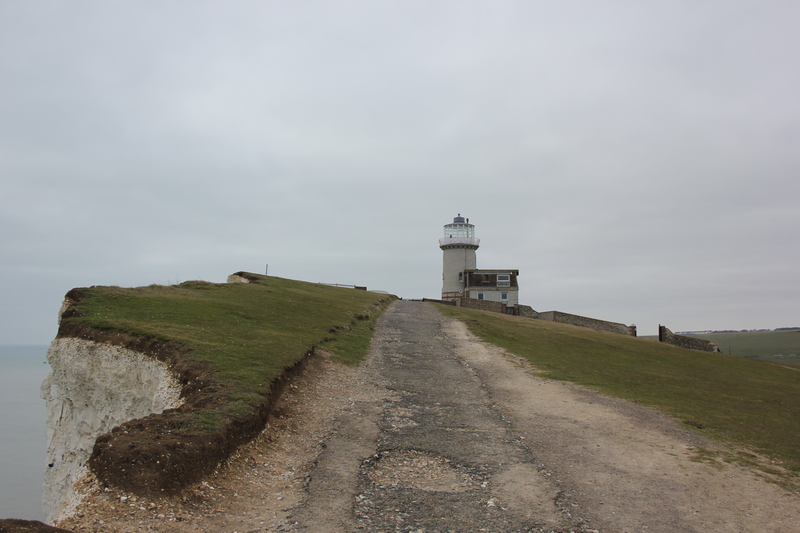 The Belle Tout Lighthouse is a bed-and-breakfast today. We walked on, descending the cliffs to Birling Gap. 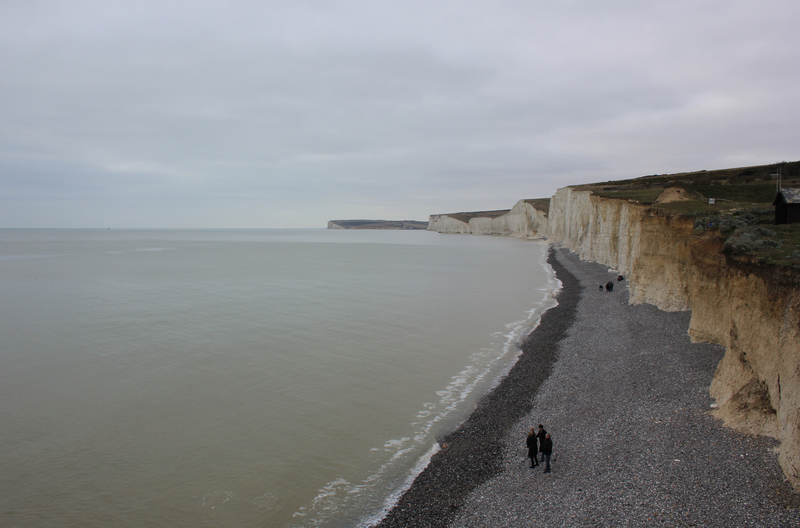 Birling Gap sits just above sea level and has a shingle beach and a large car park for visitors. 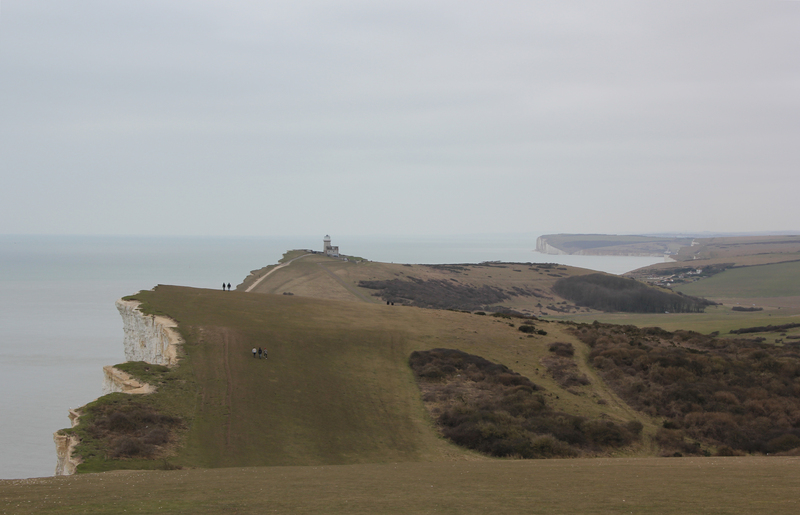 We ended our walk here, but looked longingly towards our next stretch of coastline: the Seven Sisters. 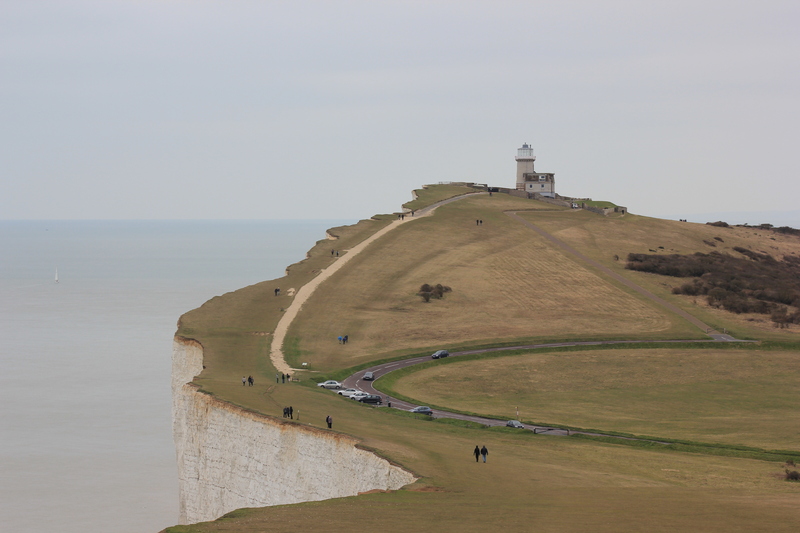 This entry was posted in East Sussex and tagged beachy head, belle tout, birling gap, cliffs, East Sussex, erosion, lighthouse, travel, walking. Bookmark the permalink.